Where do greenhouse gases come from? Traffic congestion? Yes. Rising smoke stacks? Yes. Your dinner? Perhaps. There’s food waste at every step before it gets to your plate, and even after that when edible items go uneaten. Here’s one at you - do you live in a household where the slice at the first and the last end of each loaf of bread goes uneaten? At the table, disposing of food waste, without having it end up in landfill, is a matter of great concern. As it turns out, only 3 percent of food in North America is sent for composting, according to the Environmental Protection Agency. Americans throw away an unfathomable amount of food, worth billions of dollars and enough to feed millions of starving people. Also, decomposing food isn’t just a sordid affair; it releases toxic greenhouse gases, mostly in the form of methane – a gas 25% more potent than CO2. Toast Ale, is the first British bread beer made with “fresh surplus bread otherwise thrown away by bakeries, delis and sandwich makers.” Bread plays a huge role in the large percentage of edible food items that go to waste.Bread is one of the most wanted food items, and yet we throw away a million tones of it every year. According to a lifecycle analysis by Tesco, the only supermarket in the UK that discloses its food waste statistics, 34% - 44% of all bread produced in the UK is thrown away, and only half of that occurs in our homes. At the far end of the supply chain, retailers throw away loaves that are damaged or past their sell-by-date, even though when they’re perfectly edible. 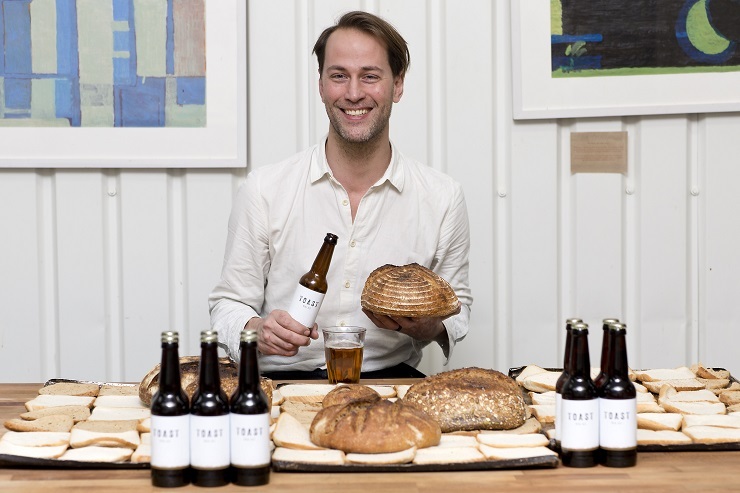 Food activist Tristram Stuart, has ventured out to use the surplus bread loaves that would otherwise be disposed of due to quality regulations to brew up a delicious, alcoholic beverage. In 2008, Tristram found that a single sandwich manufacturer in the UK was “wasting 13,000 slices every day because the retail customer required it to remove the crust and the first slice from every loaf they used”. At the far end of the supply chain, retailers throw away loaves that are damaged or past their sell-by-date, even though when they’re perfectly edible. 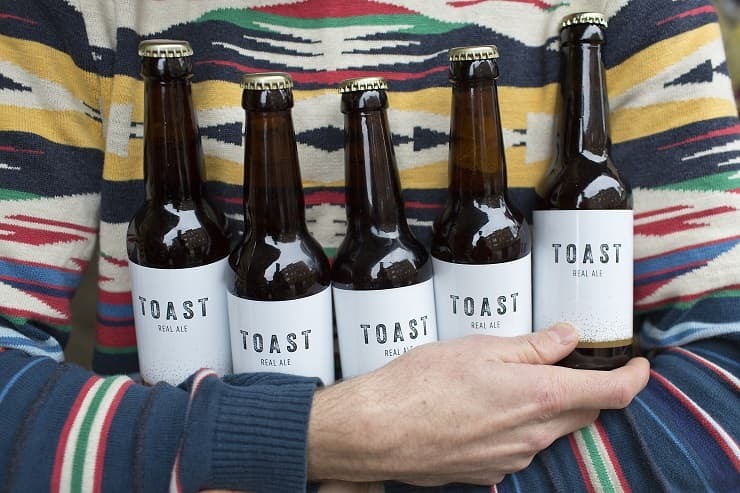 The team at Toast Pale Ale uses bread in place of grains when brewing up the beer. 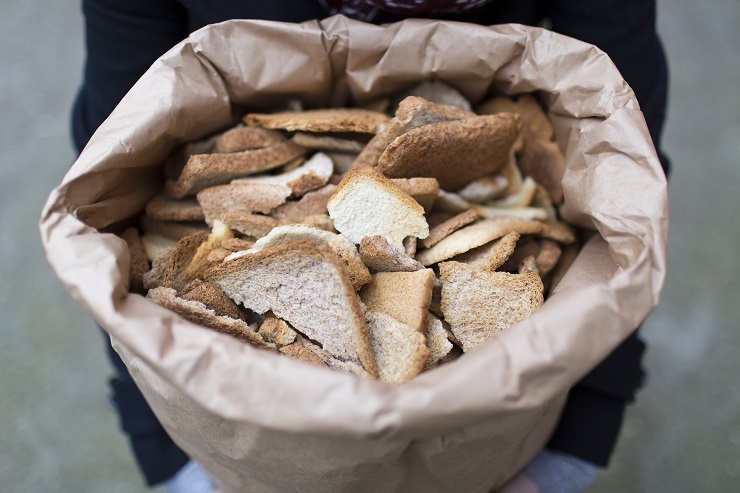 The process involves drying and crushing the leftover bread into crumbs, before steeping them in water. The soaked breadcrumbs are then sprinkled with the leftover wart added to German Hallertau hops to give the brew an intense, pleasantly-harmonic bitterness. Bramling, Cascade and Centennial cross hops are added later, before the brew is cooled and fermented for a fortnight. New and innovative food waste solutions like bread beer from Toast Ale can help address both world hunger and global warming at the same time. All profits made from Toast Ale bread beer go to Stuart’s charity to support the fight against global food-waste:Feedback. The bread beer recipe is open-source for the conscious drinkers, making it easy to re-use old, stale bread into Friday night frosty mug-sensation. We tend to discard otherwise perfectly edible items because they don’t meet our cosmetic standards. We discard delicious and nutritious parts of our gastronomy because they’re either in the wrong shape or size. Food waste is generally seen as a relatively small issue, except that we waste food on such a massive scale that it adds up to the global food waste problem. Throwing away food is an ugly part of our culture, and it’s costing us our time, money and the environment. If all of the world’s food waste came together and formed a country, it would be the third-largest emitter of greenhouse gases behind China and the US. All profits made from Toast Ale bread beer go to Tristram Stuart’s charity to support the fight against global food-waste: Feedback. New and innovative food waste solutions like bread beer from Toast Ale can help address both world hunger and global warming at the same time. Compared to other climate changchange-relatedlems, these challenges are relatively easier to fix. For starters, we can engage in the most wondrous and rewarding task almost as old as humanity itself – brewing beer using Toast Pale Ale’s open source recipe for bread beer.